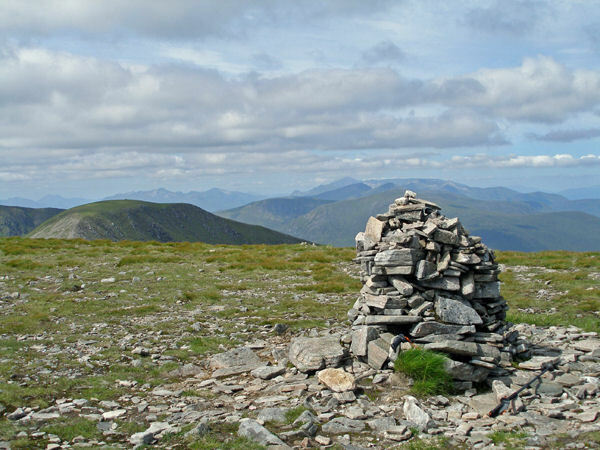 Geal-Charn is a complex mountain with a broad summit plateau surrounded by steep and often craggy slopes. 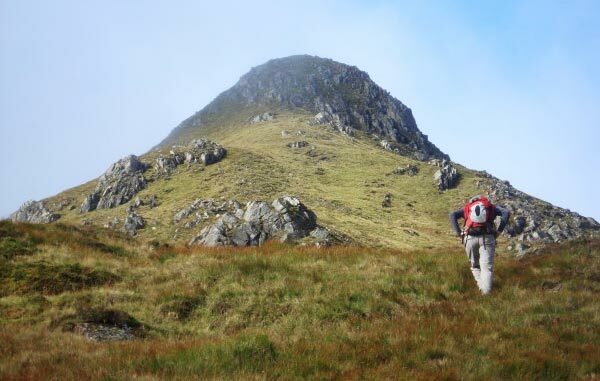 It is connected to Aonach Beag by a short narrow W ridge leading to a high col (1000m) and to Carn Dearg by a short steep rocky NE ridge which connects to Dollaid a' Chairn by a narrow ridge giving access to Carn Dearg. The slopes between the N ridge and Sgor Iutharn, which is effectively the E ridge, are steep and craggy as is the southern slope of Sgor Iutharn. 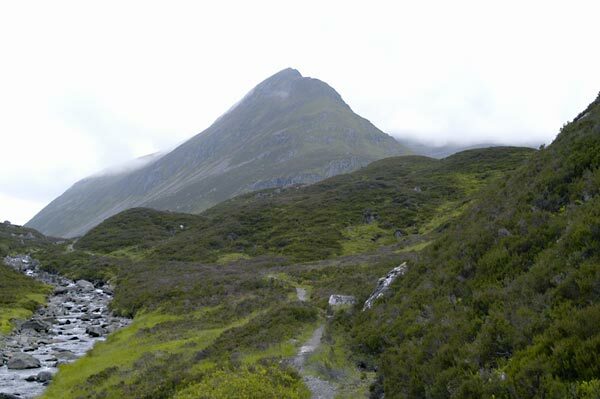 There is also a S ridge which terminates in the crags of Sron Ruadh. The SW slopes of Sgor Iutharn provide an easy access from Bealach Dubh and the path from Culra Bothy. 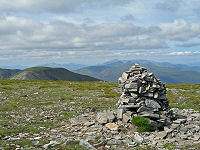 Looking WSW from the cairn on Geal Charn with Ben Nevis on the horizon and Aonach Beag to the left. Sgorr Iutharn looms above the path from Culra Bothy through the Bealach Dubh. 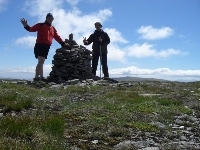 If you want to add some excitment to an otherwise dull mountain then this is the only ascent route for Geal Charn. 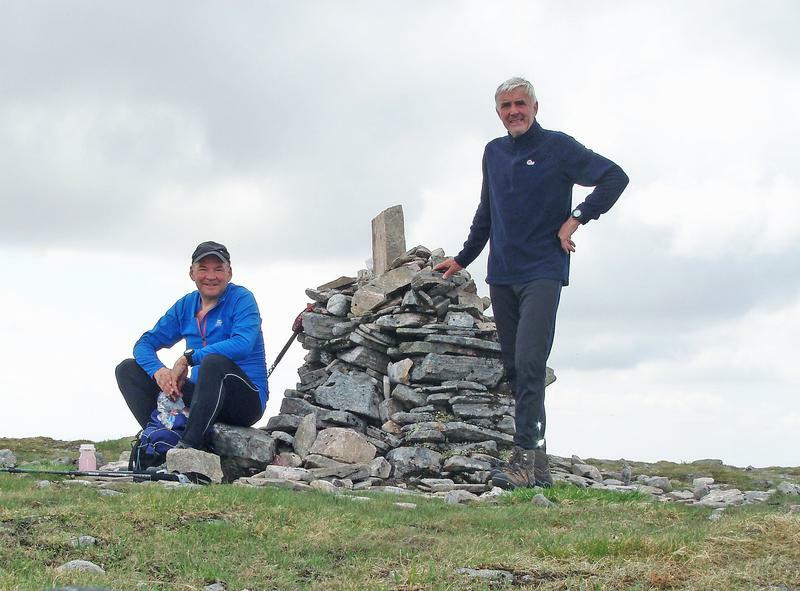 The summary information of one or more ascent routes that include Geal-Charn [Alder region]. 1 1816 m 49.69 km 13.5 hrs Geal-Charn [Alder region], Aonach Beag [Alder region] and Beinn Eibhinn A long strenuous route with scrambling and exposure on Sgor Iutharn. Actually it is more of an expedition. 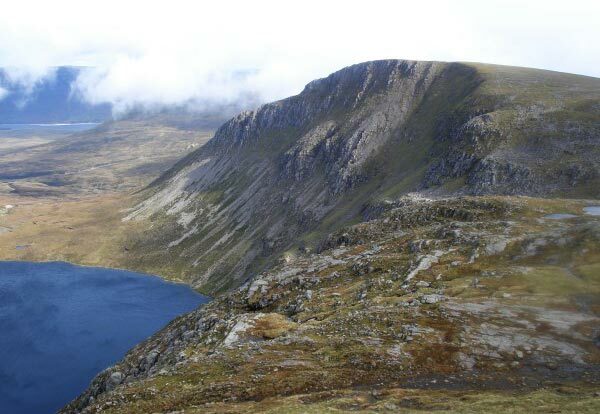 From Loch Pattack the route distance is 24 km, ascent 1166 m and time 7h, so cycling will make it possible in one day. Roy and John still in good weather but light cloud thankfully keeping hot sun at bay! 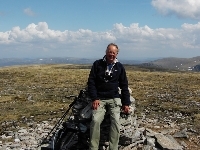 The WBD at the summit, June 2012. If we'd believed the forecast we'd never have gone near a hill that day! 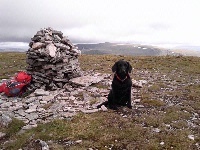 Me with Karl on summit,(19,6,10). Geal-Charn summit on a day when dozens of red deer were gathered on the remaining snow patches. 5/6/10. 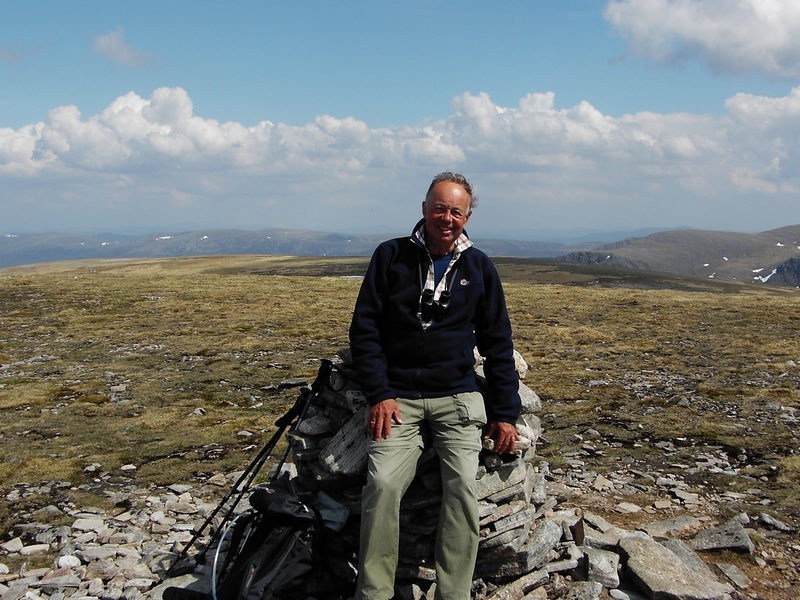 Post a few words about Geal-Charn [Alder region] or read what others have had to say. July 2011. road in from dalwhinnie in excellent condition for cycling up to the turn off for Culra at hay feeder. we did get 2 punctures though! Road by loch pattack although passable involves a suspension bridge and a bumpy finish. the path from Culra is narrow but much better and despite the incessant rain this year still very dry thanks to good drainage. just be careful of catching pedals on higher bits of the verge. Cycled in and out in same day, 10 hours at very leisurely pace. We started from the car park on the A86 west of Moy Lodge and followed the path to 444 766, then the grassy banks of the streams into Coire na Coichille to the 700 metre contour. We headed to the rocks on the edge of the plateau for the view overlooking Loch Coire Cheap before making for the rounded summit. Square cairn was pretty easy to find, lot of books suggested otherwise. visible in clouds as approached from Lancet Edge direction. Excellent approach route, path once reach steeper part of ascent, no real scrambling required i.e hands rarely required. Views over to Ben Alder, superb.